English Language in the United States: Official not Only | Read this and hack! Many people misconstrue the idea of an official language in the United States. They think that having one would take away from the cultural diversity and what makes America so special. Others may not even know that the United States doesn’t have English as its official language. 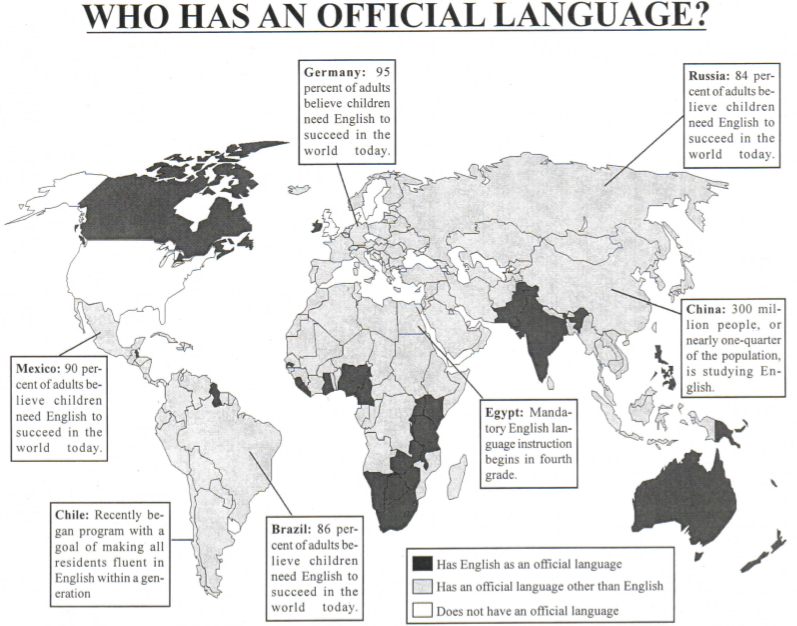 In fact, 51 countries around the world list English as an official language. So, why doesn’t the United States? Doesn’t a large majority of the population speak English? I will answer these questions, as well as offer my plan of action in regards to making English the official language of our beautiful country.